Are Your Old Windows Protecting Your Furniture From UV Damage? 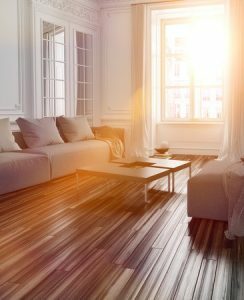 Most people know that the sun’s UV rays can do damage to their skin and eyes, but did you know that those same UV rays can also damage your home’s flooring, carpeting, paint and even furniture if you aren’t careful? It’s nice to open up the blinds and allow the sun to come in, but too much UV exposure can cause colors to fade in furniture and other household items. To prevent the sun from damaging your furniture, you could rearrange pieces to keep them out of direct sunlight. This strategy can be time-consuming, however, and it can also limit your interior design options. Rather than shuffling around your furniture to keep it out of the sun, why not prevent harmful UV rays from penetrating your home in the first place? At Affordable Glass & Mirror, we offer a specialized window glass with a “Low-E” coating that will stop the sun’s UV rays from passing through your windows. This will allow you to keep your blinds open as often as you want without risking damage to your furniture. It also will have little to no effect on the appearance of your windows. Not everyone wants their home’s windows to look like they have a dark tint. The “Low-E” coating will give you the UV protection you need without making your windows noticeably darker. Is your old window glass allowing the sun to do irreparable damage to your home’s furnishings? Give us a call today to learn more about how our Low-E window glass can help!